Barry & Penarth Lions Club will hold another Curry & Quiz Night on Friday 15th March at St Andrews Major Golf Club, Barry. An EXCELLENT selection of curries etc. will be available in the form of a buffet and a good time is promised for all who attend. Please click on the "Calendar" tab for further details. Maria Lyn is an International Solo Cabaret Artist and Headline Performer currently appearing on major Cruise Ships Worldwide. We recently held a very sucessful and enjoyable Cabaret Evening featuring Maria at The Sully Constitutional Club. A good sum of money was raised at this highly entertaining event. Maria was voted "Cruise Entertainer of the Year 2012"
Bottles are available from many Pharmacies and Surgeries in this area and are provided free of charge. This event will be held on Sunday 12th August 2012. 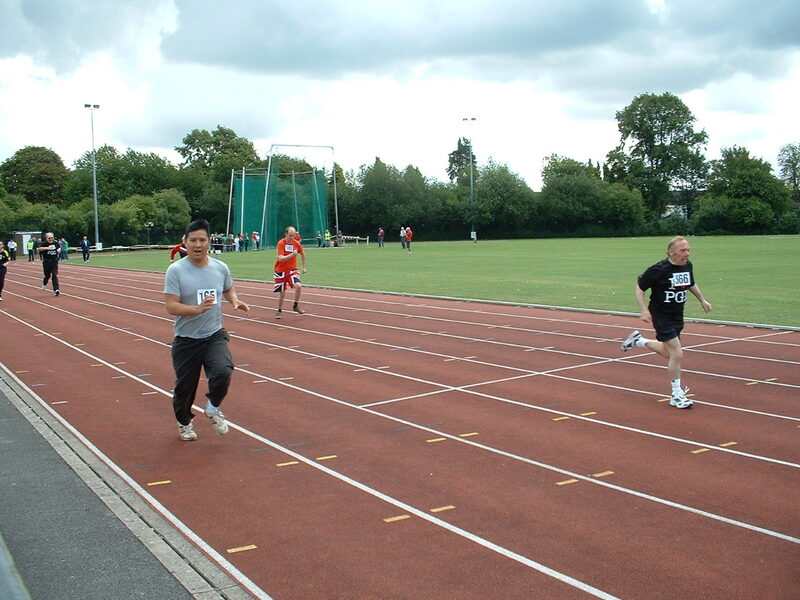 Several members of Barry Lions Club will accompany participants and their carers to the event where many track and field events including shot put, javelin, wellie throwing, races and wheelchair races will take place. This money has been spent on essential training equipment. Members of Barry Lions Club in the main lifeboat, an Atlantic 85. Elysia Roberts receiving a cheque from Lion Nanette Langford. This donation will help fund Elysia's studies in Prague towards her Post Graduate Certificate in Education specialising in music. Jack Feureisen receiving a cheque from Lion Nanette Langford. Jack is a very talented young man and this donation will help fund further studies. Barry Lions Club received its Charter in March 1981 and therefore celebrated its 30th Anniversary in March 2011. The Club currently has 15 members, several of whom are Charter Members. We are a group of ordinary men and women who are interested in working together to help others. Barry Lions Club has organised very many successful fundraising events during its life and continues to develop new and innovative ways to raise funds for Charitable Organisations and for those less fortunate than ourselves. Barry Lions Club has donated monies to International causes including the Tsunami Fund, Lions Clubs International Foundation, Eye Camps as well as donating money to causes nearer to home. Locally, the Club has donated money to YMCA Hub, Ty Hafen Children's Hospice, Marie Curie Hospice etc. We have also sponsored participants in The Bob Cook Memorial Games. Under our new name, we will continue to strive to raise more funds through our usual methods such as The Christmas Lunch, Sportsman's Lunch, Race Nights, Quiz Nights etc. We have been very fortunate to have had the help of Maria Lyn who has taken the time out from her very busy schedule to sing at several Cabaret Evenings and her unique entertainment style and wonderful voice has helped us raise a great deal of money. Club news and information on forthcoming events will be posted on this website so please take a regular look at the Calendar tab on the left hand side of the page.